It's Not Work, It's Gardening! 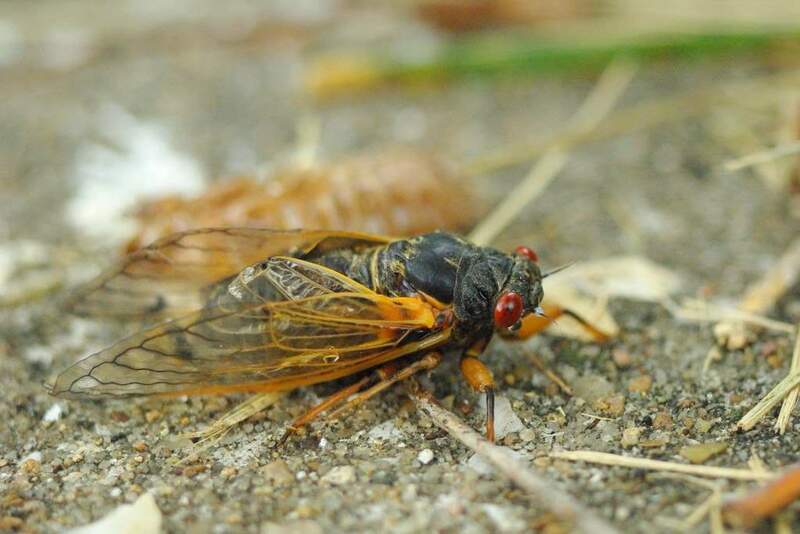 : Cicadas! 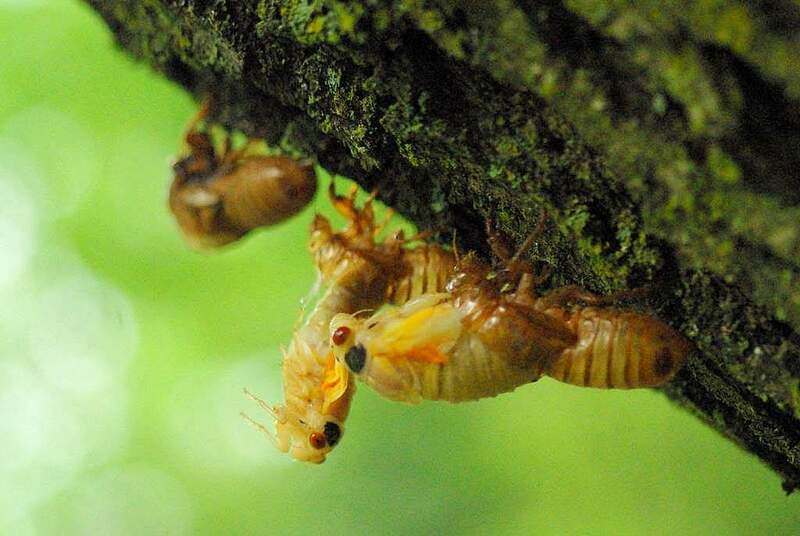 Remember the other day when I was digging in the front yard and saw all of the cicada holes, and I looked up that this is the year for the 13-year cicadas in St. Louis? Well they emerged today! 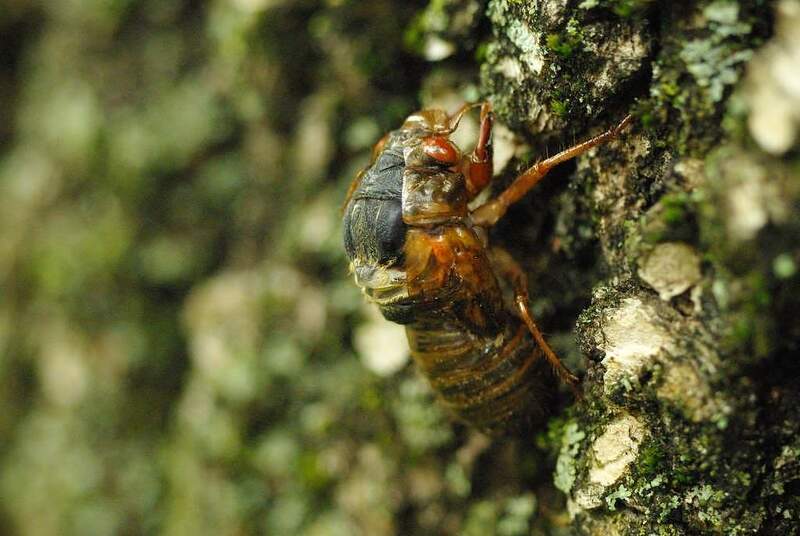 If you don't live where these periodic cicadas do, or have never experienced one of their emergences, it's pretty fascinating. 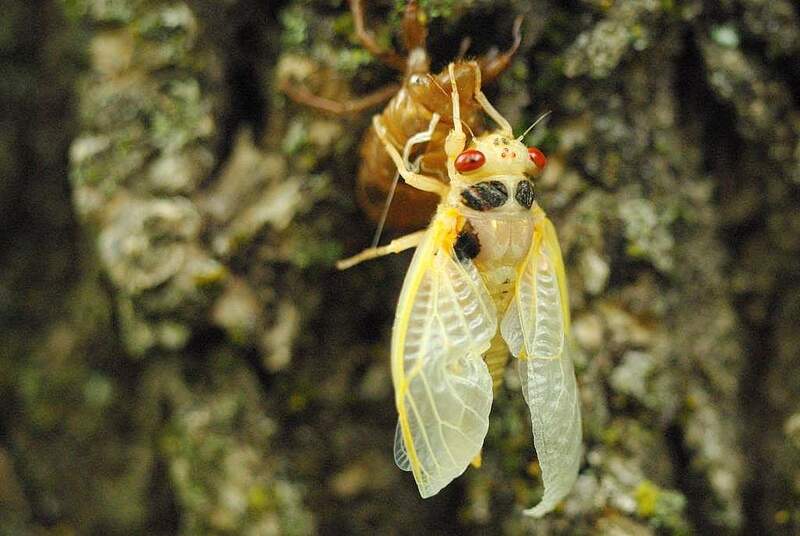 Or creepy if you're not a bug person. 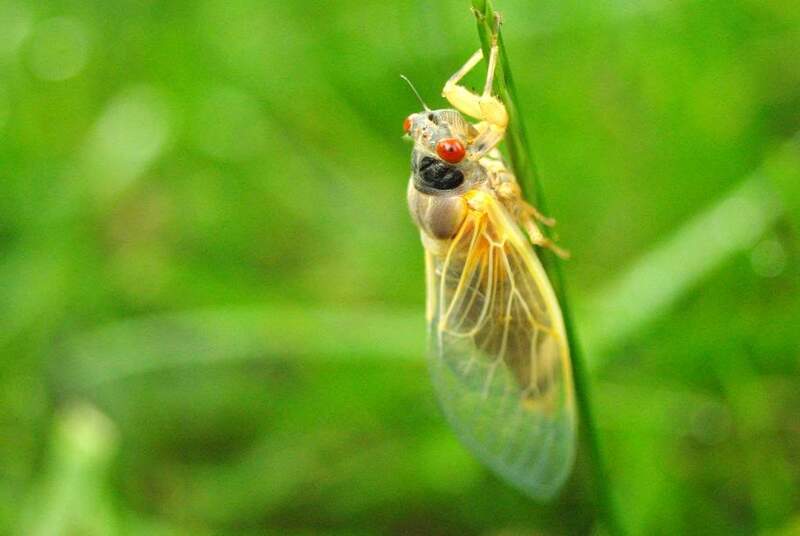 Fortunately I am a bug person. 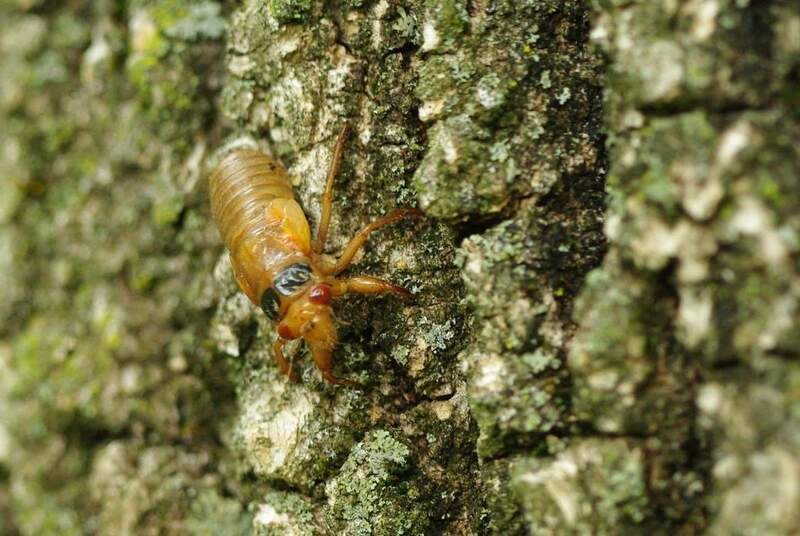 You're actually a cicada nymph who has spent the last 13 years underground, sipping from tree roots and slowly growing. Lately you've felt -- different. Bigger. Restless. Today for some reason you feel compelled to go up. Not just up to the top of the tunnel you've called home for years and years, but higher. You must go up! So you emerge from the ground and climb. All of your siblings and cousins and lots of strangers are doing the same thing you notice. In fact, it's as crowded up here as it was below ground. 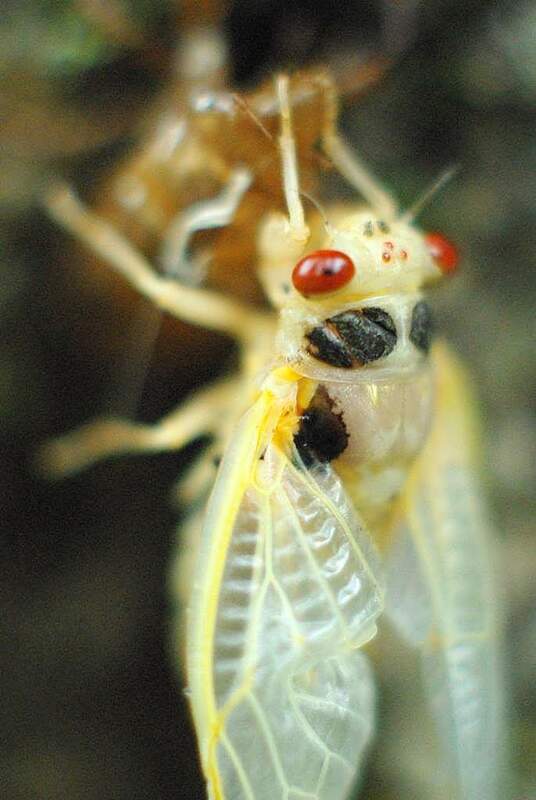 If everything went well you'll just hang around, pump up your wings, and wait until you darken up. But you've made it and you're in good shape! Although you have some nice-looking wings now, you can't use them yet, so you keep walking, and climbing. Must go up! 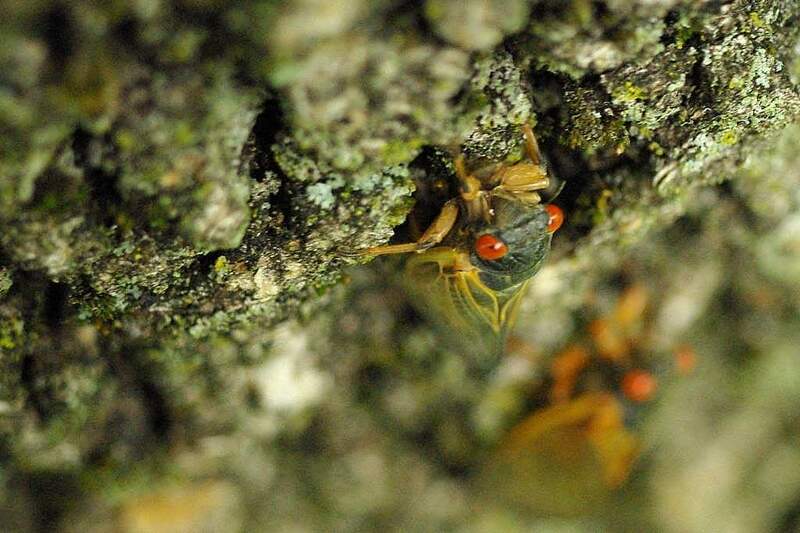 For the next few weeks you'll fly around, make a very loud noise to find a mate, then (if you're female) will lay your eggs in tiny slits in the bark of young tree branches. The eggs will soon hatch and your tiny children will fall to the ground like a rain of sand, where they will dig down and begin the 13-year cycle again. 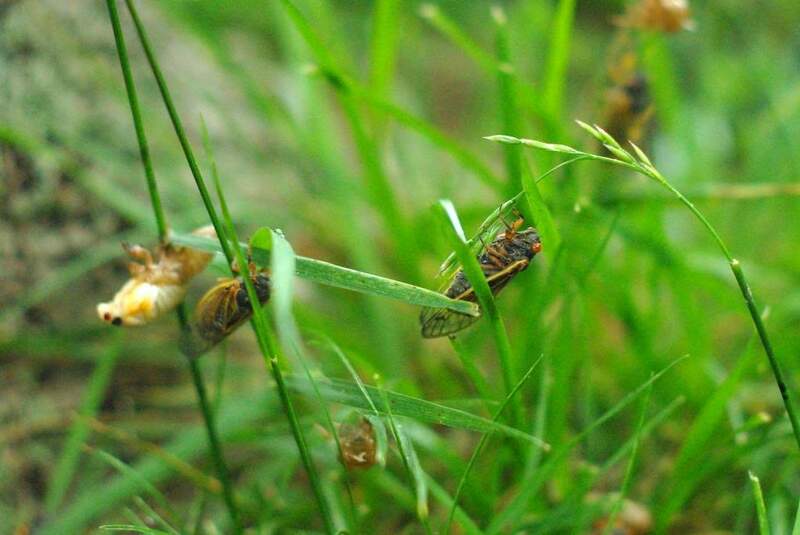 Of course you'll be long dead before they emerge from the ground. In fact, you'll probably be dead before they even hatch -- not to bring you down, but those are the facts of your life. It doesn't seem fair does it? Over a dozen years crammed in a mudhole, and only a few weeks in the wide, wide world above. 1998. 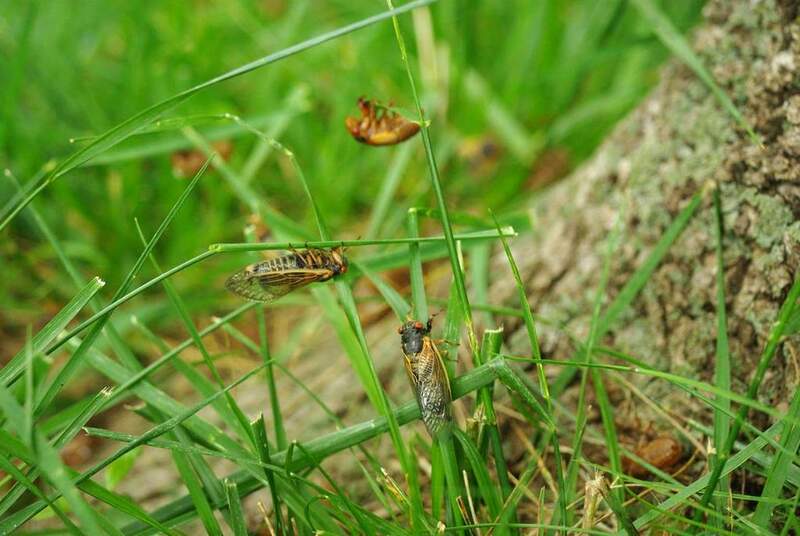 Cicadas head for higher vantage points. 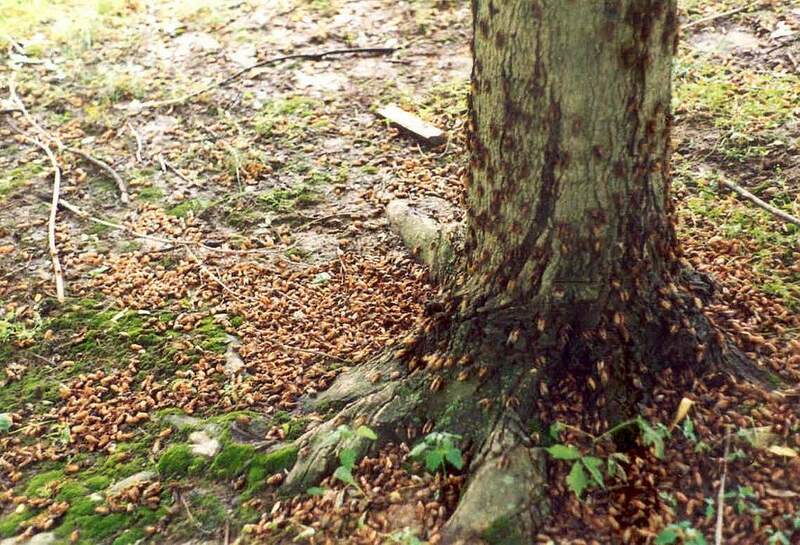 1998, when the 13 and 17-year cicadas emerged in St. Louis. 1998. 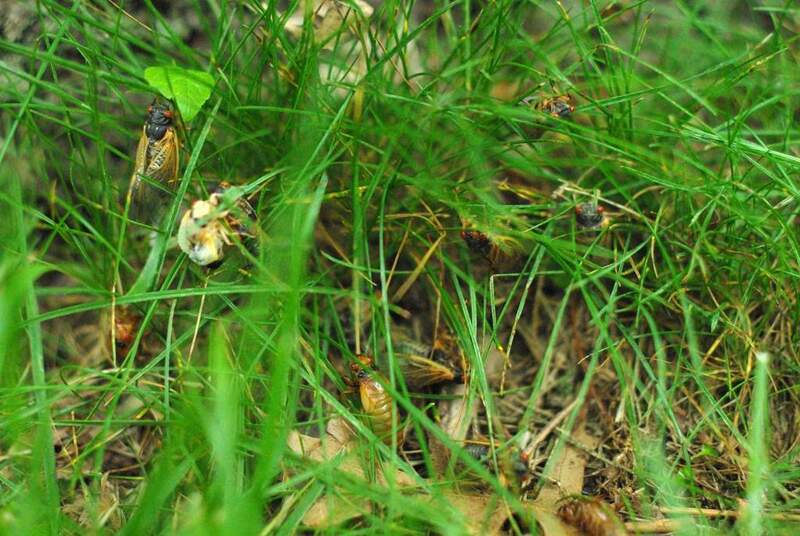 We had a few cicadas in the yard. 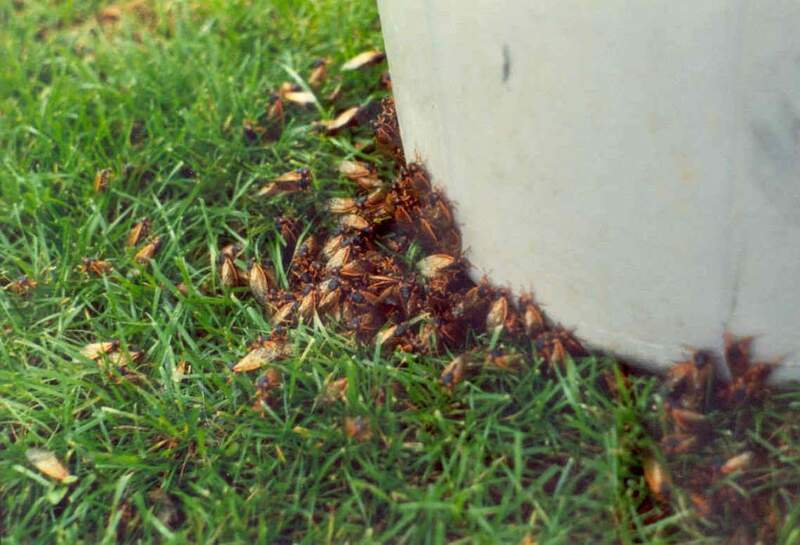 Based on our experience 13 years ago, this year's "swarm" is nothing to get worked up about. 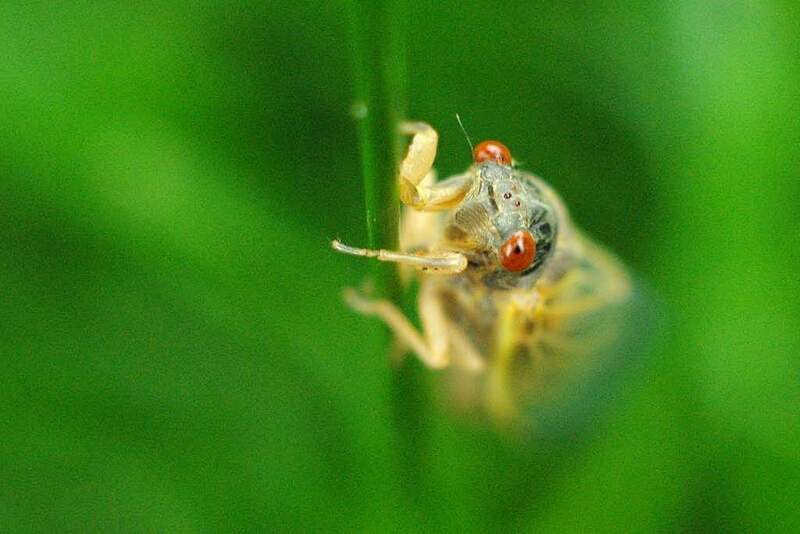 I don't think there's much more I can say about the cicadas right now, so I'll just finish up with more photos. 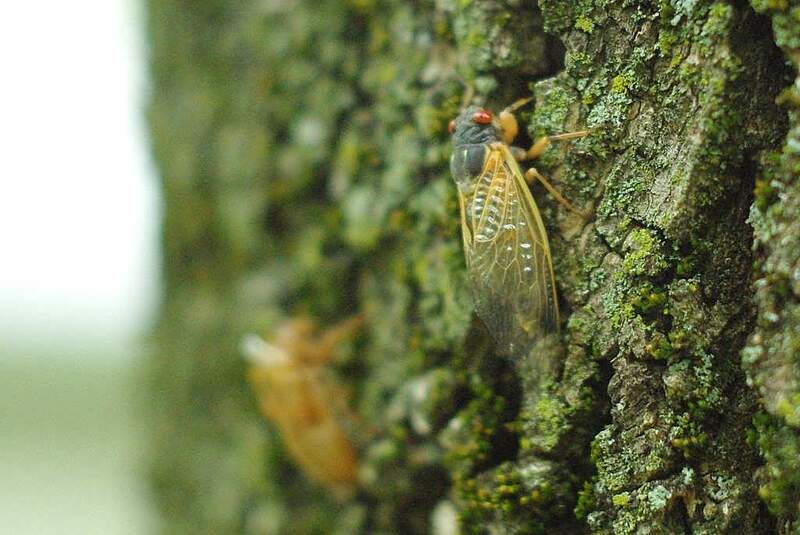 If you're a bug person and have never experienced cicadas, this would be a good time for a road trip to St. Louis. But don't wait too long, because they'll be gone in a month. I'll get some video once they start making some noise. I have never seen anything like it. I was going to ask you about the noise. 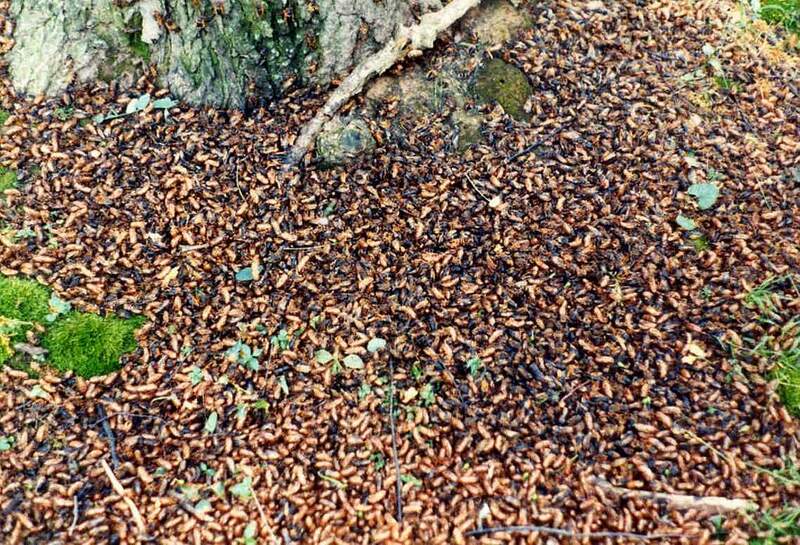 I do like the sound of crickets and cicadas but so many? That's got be something to hear. 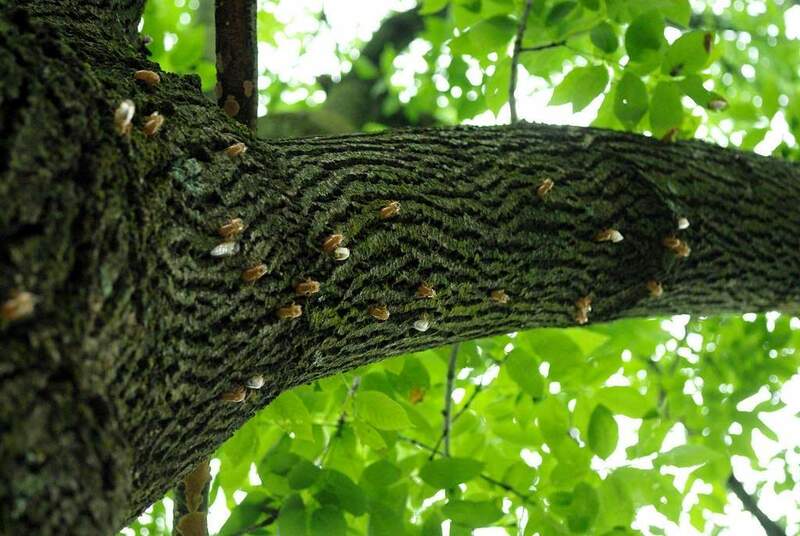 Wow, you are a bug magnet. 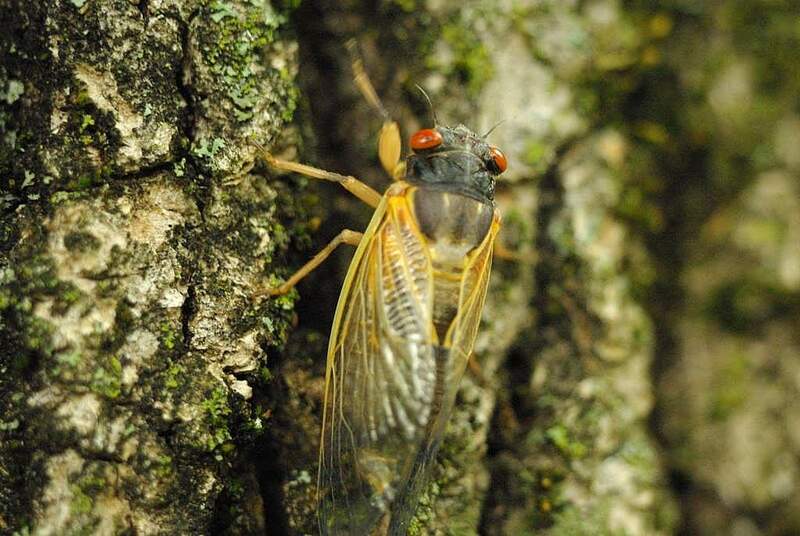 Enjoy your cicadas while they last. 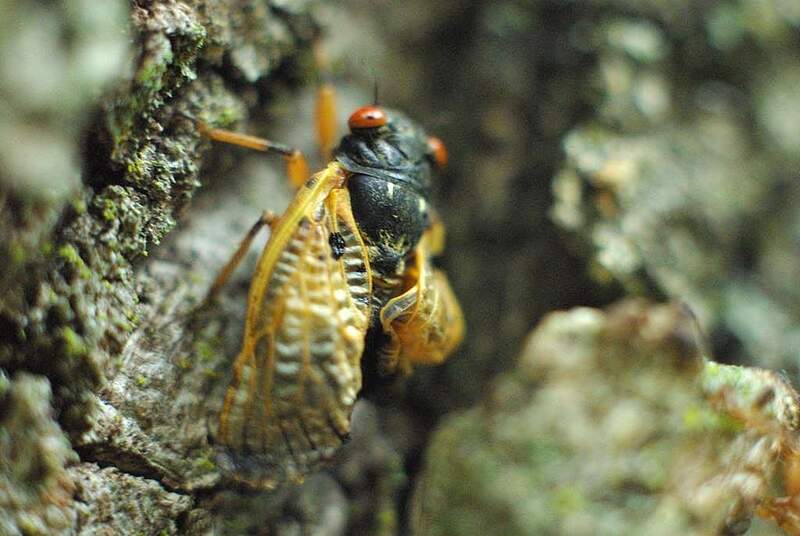 The cicadas are still emerging today, and are starting to fly around. 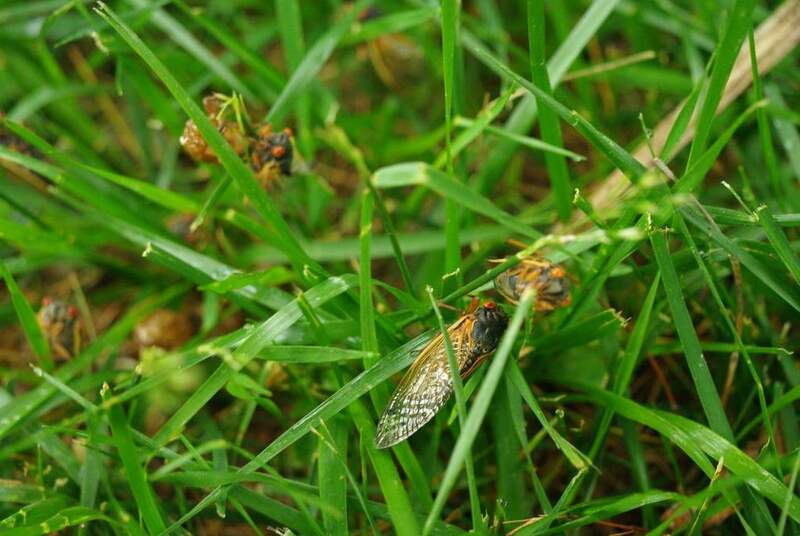 It upsets me when I hear lawnmowers -- don't people realize they're chopping up hundreds or thousands of cicadas! 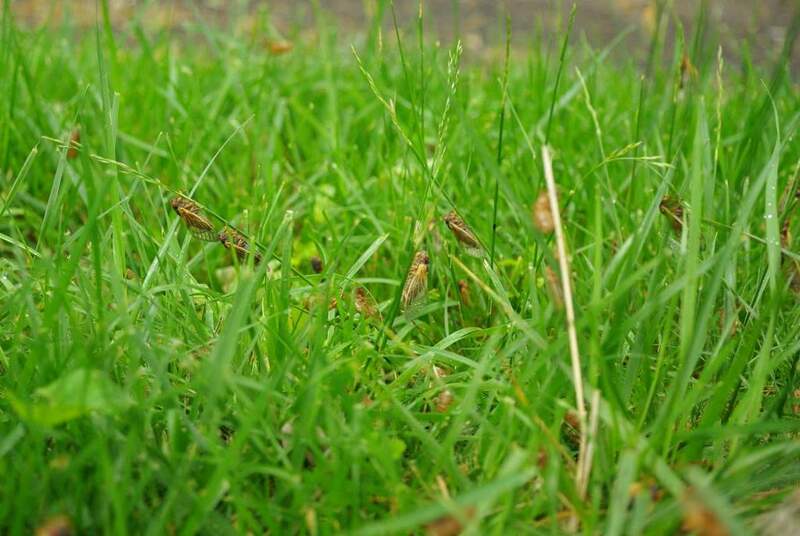 My lawn is so long right now, but I won't cut until they're done emerging! Black Magic is really nice. My small one last year produced a dozen tiny bulbs, so I got a new large bulb this year. It hasn't put out a leaf yet, but it's about to. 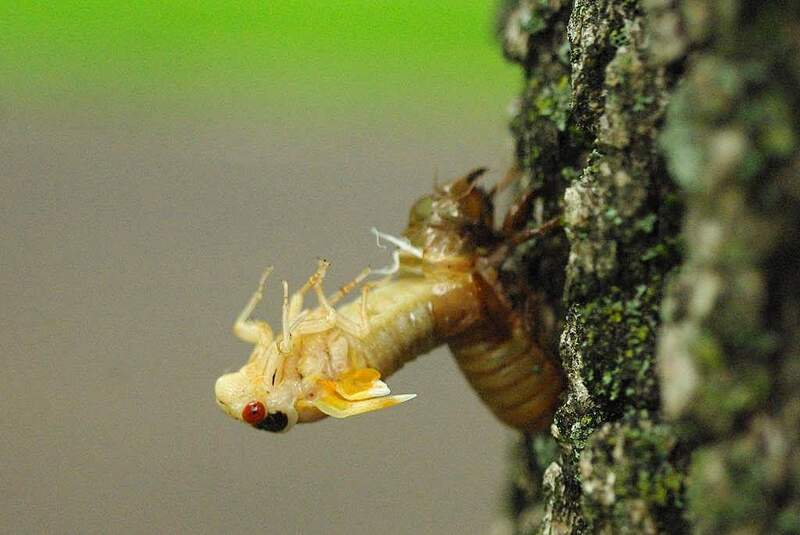 What an amazing series of photos of metamorphosis. That must have taken a lot of patience. 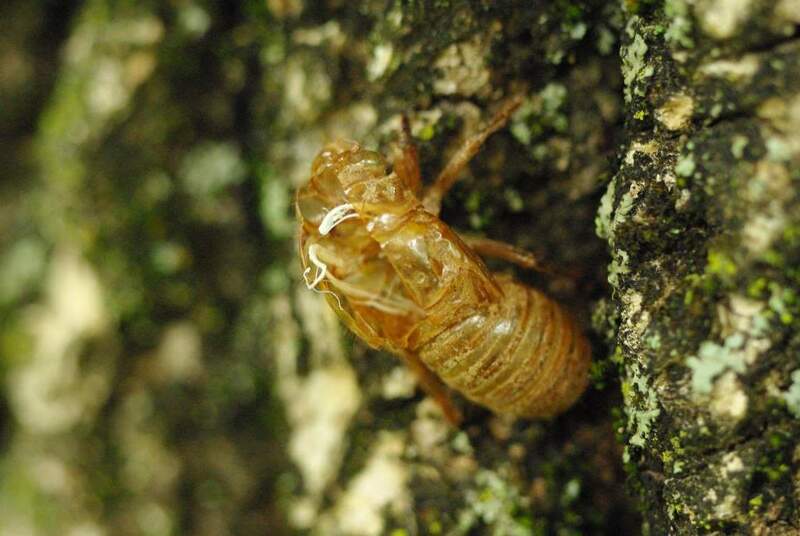 Janet -- I cheated and used a bunch of different cicadas. 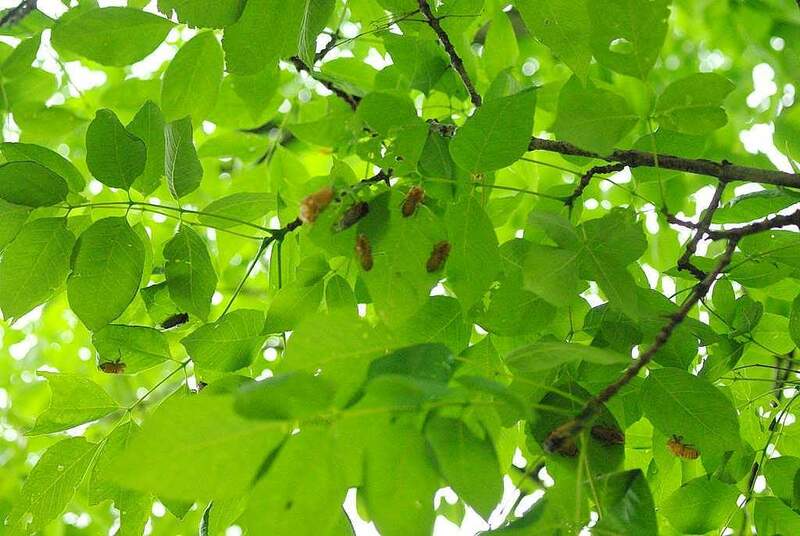 There are so many it was easy to find them in all of the stages. 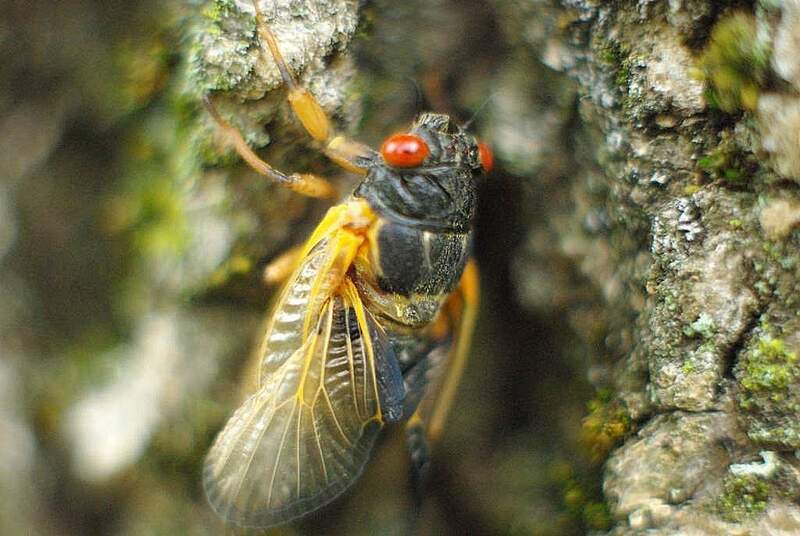 Stumbled upon your post while looking for cicada info. Love the pics. 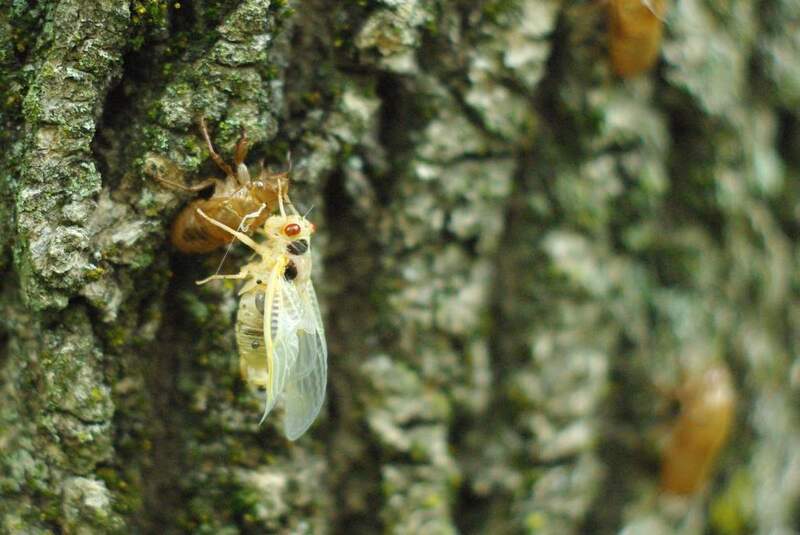 I just finished admiring and taking photos of the emerging of cicada also at a local park in Troy, MO. My 5 year old son is loving it.